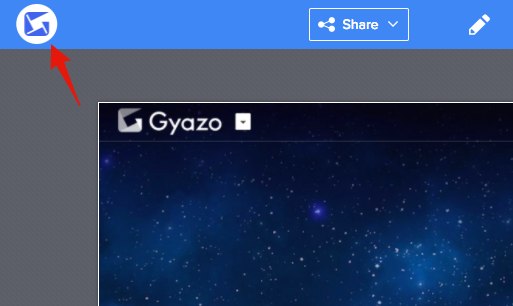 To see images you have uploaded to Gyazo please visit your home page at https://gyazo.com/captures after logging in. Another way to go to the home page is by clicking the Gyazo icon which appears at the top left of each Gyazo image page. Note: Free users has limit to access to older images. To search & access older images from your home page, please upgrade to a pro account. You can always access Gyazo images by saving the link, even if you don't use the home page and don't have a Pro account. Pro users enjoy great features including unlimited history access, fast image search, image editing, no ads, and more.